While the Nokia Lumia 1520 was launched in India yesterday for Rs. 46999, the Nokia Asha 502, which was announced simultaneously at the Nokia World event in Abu Dhabi is now available from the Nokia Shop. The Nokia Asha 502 is on sale on the official online Nokia Shop for Rs. 5739, while the list price is Rs. 6889. The device has a crystal transparent glass protective cover and is available in Red, Cyan, Black, Green and White colours. The handset has a 3 inch display and runs on the latest Nokia Asha platform with the new Swipe UI. The Nokia Asha 502 is the first handset in the Asha series to have a 5 MP camera that comes with LED flash. 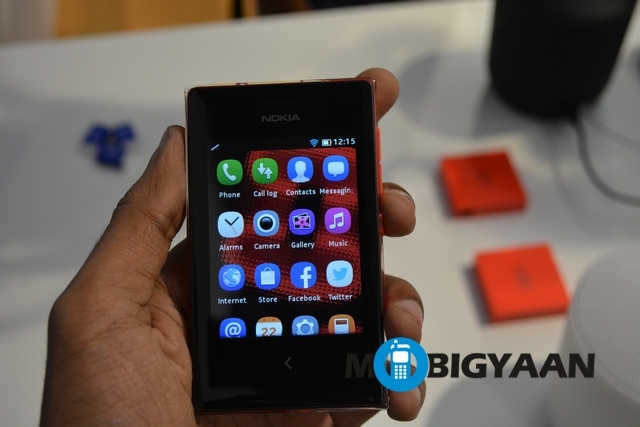 It also has the Nokia Fast Lane multi-tasking screen that displays all the recent activities together. The phone has dual SIM support with only 2G connectivity and comes with WhatsApp pre-installed.